According to the Centers for Disease Control and Prevention (CDC), 1.7 million people in the United States suffer from brain injuries each year. These injuries are serious and often fatal. If you or a loved one has suffered from a traumatic brain injury (TBI) due to someone else’s negligence, Lampert & Walsh, LLC is prepared to help. We are dedicated to getting the justice and compensation you deserve after another person’s actions causes harm to you or your family. Since 1979, we’ve been fighting for the rights of people struggling with brain injury in Denver and throughout Colorado. What are the common causes of brain injury in Denver? If your brain injury was caused by someone else’s actions, our attorneys have the experience necessary to advocate for you. You don’t necessarily have to lose consciousness to have suffered a TBI. Symptoms are also not always immediate but can start to appear over time. That is why it is essential to see a doctor immediately to assess your injury. Then, get help from our experienced personal injury attorneys to get you the compensation you need for your medical bills, lost wages, and pain and suffering. Traumatic brain injuries are usually put into two different classifications. An open head injury occurs when an object enters the skull, causing damage to specific parts of the brain. The symptoms and consequences of these penetrating injuries vary based on which parts of the brain are affected. A closed head injury occurs when you hit your head, but the skull is not broken. These injuries are often more difficult to detect but can still cause serious damage. There are also two types of brain damage that can occur. Primary damage is what happens as a result of the initial impact. These injuries can include contusions, damage to blood vessels and axonal shearing. Secondary damage occurs in the hours and days following the initial trauma and can lead to brain damage or death. After you or a loved one has suffered from a serious brain injury, our firm can help you through the legal process. 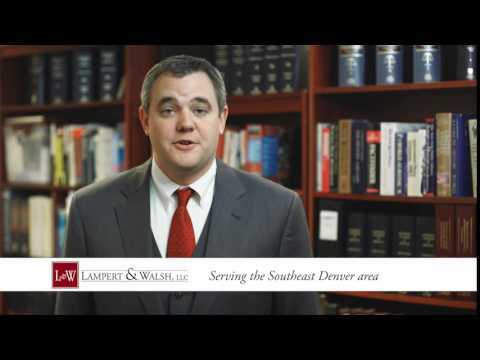 If you have suffered from a TBI in Colorado, turn to Lampert & Walsh, LLC. We genuinely care about our clients and do everything we can to get you the results you deserve. Call us today at 720-489-5848 or contact us online to schedule a free initial consultation with an experienced personal injury attorney.